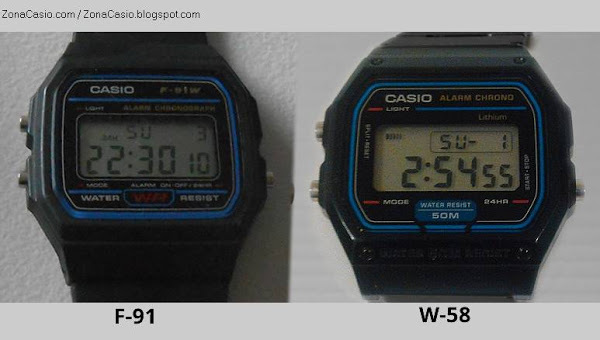 By the same time that the F-91, the W-66, the W-19 and the W-59 were seen, Casio launched another extremely interesting model. 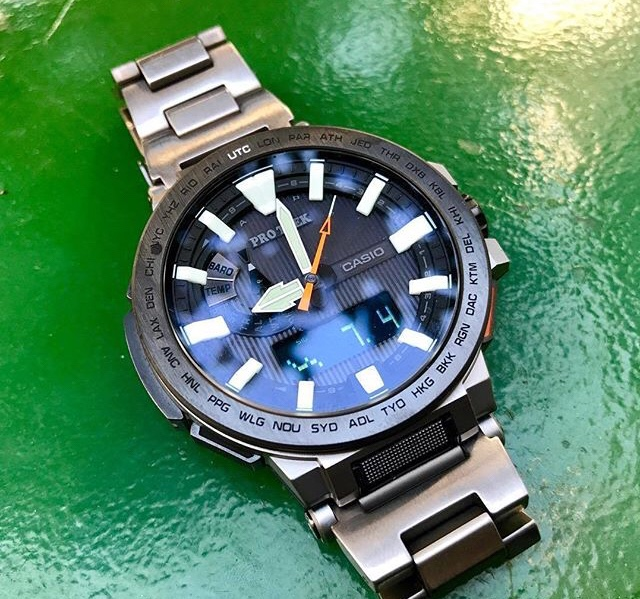 Almost twin of the F-91, with an aesthetic so similar that for the less connoisseur of Casio watches could pass as an F-91, it was differentiated by being 50 meters water resistant. How to visualize the word "CASIO" on your watch? The procedure for us to see the word "Casio" and verify the authenticity of its module (we insist: at least in part) is very simple and well known: we will only have to keep pressing the lower right button for a few moments, that is, the only button that is solitary on the side (at the other end there are two), keeping it pressed for about four seconds we should see the word "Casio" formed by the digits on the display. When the button is released, the clock returns to normal mode. By the way, remember that when you press it you will also change the time format (if it is 24h it will be 12h, and vice versa), so to return to the format you had previously, you must press that lower right button again. The DW-5900 is sold again! 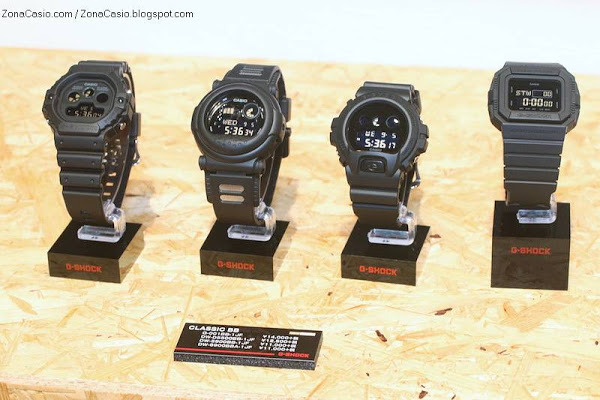 Casio's online store in the United States has played a "dirty trick" on Casio in Japan, because it has advanced not only the price that the expected DW-5900BB of G-Shock will have in dollars , but also, and at the same price. , also, and this is the most interesting thing, they have anticipated that a "standard" version (which is most likely positive) is expected at the same price , simply called "DW-5900-1CR". το πρώτο mrg με λουρί σιλικόνης αλλά δέσιμο λούριου από τιτάνιο,όπως και η κάσα. τα λόγια ειναι περιττά.μακαρι να ερχόταν στην ελλάδα έστω να το βλέπαμε.